Barring graduates from IIMs, the b-schools are losing fast shine of attracting corporate India Inc. for campus recruitment and are increasingly facing their survivals, with only 10 per cent of graduates being actually employable despite the robust demand for MBAs, says a survey by the Associated Chambers of Commerce and Industry of India (Assocham). The Assocham paper on 'b-schools and Engineering colleges shut down- Big Business Struggles' reveals that since 2009, the recruitments at the campus have gone down by 40 per cent in the year of 2012. As a result the b-schools and engineering colleges are not able to attract students with more than 180 b-schools have already closed down in 2012 in the major cities Delhi-NCR, Mumbai, Bangalore, Ahmedabad, Kolkata, Lucknow, Dehradun, while another 160 are struggling for their survivals. DS Rawat, Secretary General Assocham said that there is no quality control, the placements are not commensurate with fees being charged, the faculty is not good enough and there is no infrastructure. "The biggest reason for the gap is the rapid mushrooming of tier-2 and tier-3 management education institutes that has unfortunately not been matched by commensurate uplift in the quality of management education. 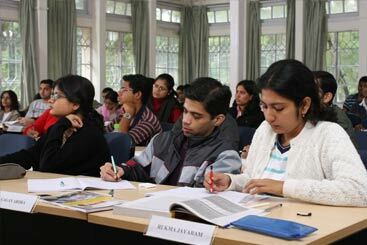 The most of students prefer to choose cheaper AICTE approved programs rather than b-schools," said Rawat. "The need to update and re-train faculty in emerging global business perspectives is practically absent in many b-schools, often making the course content redundant," adds the paper. Rawat further said that the quality of higher education in India across disciplines is poor and does not meet the needs of the corporate world. About 160 schools offering Master of Business Administration (MBA) courses are expected to close this year. Only 10 per cent of graduates from Indian business schools excluding those from the top 20 schools get a job straight after completing their course, compared with 54 per cent in 2008, highlight the paper. Some students expressed that the business schools promote their brands only on placement and by boasting about high salaries. They offer theoretical courses which lacks practical skills required by the corporate sector today, mentioned the paper. In the last five years, the number of b-schools in India has tripled to about 4,500 amounting to as many as 3,60,000 MBA seats, collectively. The demand has begun to deflate now, as economy growth rate hit its slowest in the last nine years and the quality of education provided by B-schools came under the radar. The paper also stressed that nowadays students are not concerned about the quality of education in an institute, they only want to know the placement and salary statistics and discounts offered on the fee structure and this has spoiled the entire education system, adds Secretary General. Similarly, the Master of Computer Application (MCA) course, nearly 95 colleges stopped offering the programme this year and only 25 started MCA courses. MBA seats in India grew almost four-fold from 95,000 in 2006-07 to 3,60,000 in 2011-12 -- resulting in a five-year compounded annual growth rate of 30 per cent. Unfortunately, job opportunities for MBAs have not grown in the same proportion. The MBA capacity in the country was built based on the projection of a 9 to 10 per cent economic growth rate. Assocham has advised to improve the infrastructure, train their faculty, work on industry linkages, spend money on research and knowledge creation, as well as pay their faculty well in order to attract good teachers. Why MBA grads DO NOT want jobs anymore!